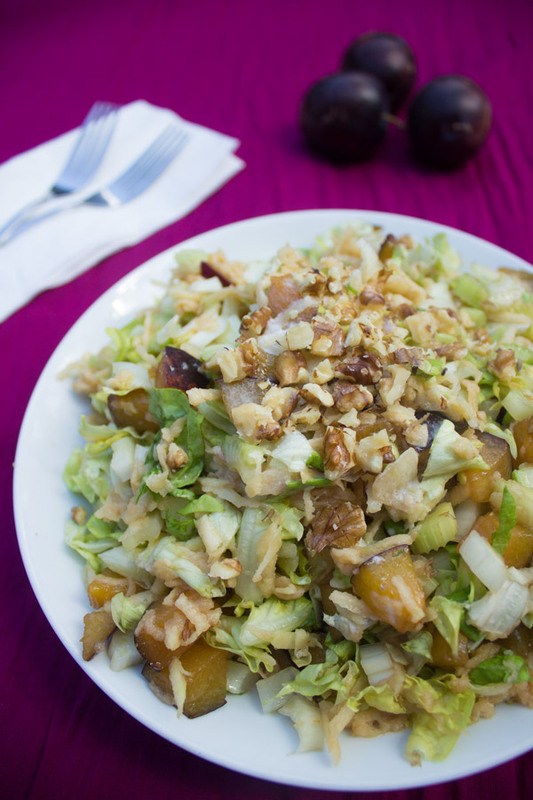 Norman Walker's #22 Salad with Celery and Prunes - Your process has a purpose. By now you’re probably as hooked on Norman Walker salads as I am. That’s why I’m giving you another one of his delicious, healthy, low-fat recipes! This one is the #22. It contains celery, which is great for the heart, does an outstanding job in providing anti-inflammatory support, and is full of antioxidants. It also contains prunes, which protect the brain from free radical damage. They also are high in soluble fiber which slows down the absorption of sugar into the blood stream, keeping blood sugar levels stable. Let me tell you a quick, funny story about prunes! I particularly like the taste of prune juice. I was once attending a conference and had refilled me bottle of prune juice with water. I got so many joking comments about the “prune juice” and I didn’t know what was so funny! I soon found out that prunes are famous for their laxative properties in relieving constipation. I had no clue! Anyway, my fondness for prune juice has not subsided since, but I did get a different container for my water! 😉 Norman Walker calls for raw, sweet whipped cream, but I use full-fat coconut milk. It tastes delicious and contains no lactose like dairy does. Check back here again tomorrow for a “Confetti Smoothie”. Enjoy! 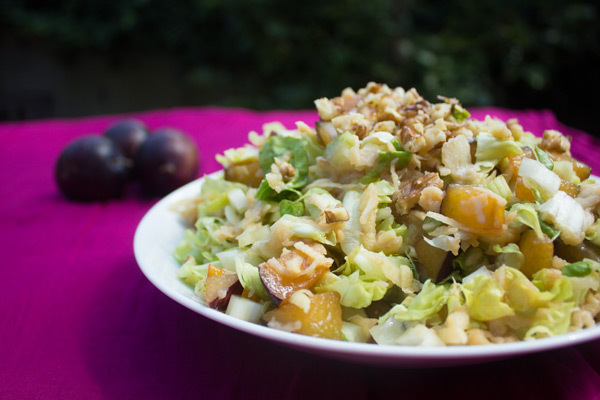 Mix together the celery, lettuce, prunes, and apples. Add enough coconut milk (sweetened) to make the right consistency (salad should be moist but not runny). Serve on crisp beds of lettuce topped with the balance of the coconut milk and finely cut walnut meats. *If dried prunes are used, soak in lukewarm water overnight or until soft. Do not cook. oh, I just found your blog on randomofo.com ! this salad looks really interesting. I just recently made a salad with plums in it, and I was surprised by how much I liked it.